For those of you venturing out to the town centers, malls and discount stores I wish you the best of luck. Be careful out there–according to early news reports many folks will be fighting for bargains. Where your helmet and shoulder pads and remember to watch for flying projectiles. 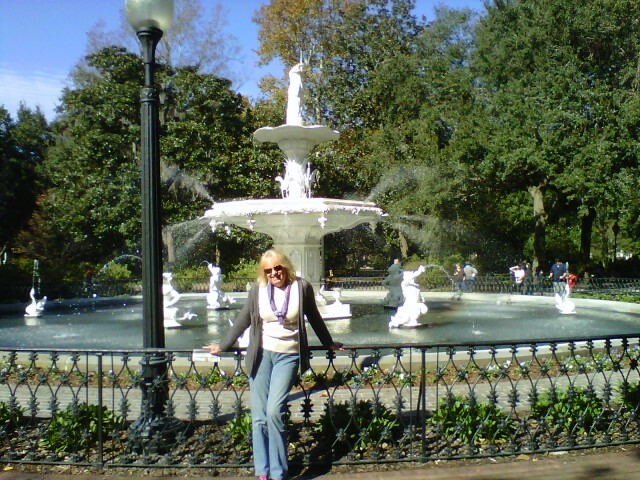 I will be driving north to the historic city of Savannah, but not to shop. 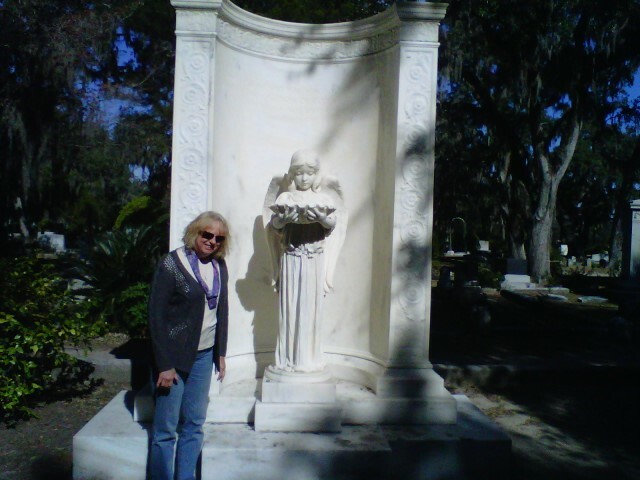 I will be walking the lanes and rows of Bonaventure Cemetery. Macabre you say? Not so much in the south. Here cemeteries are fascinating architectural dreams for history-lovers, besides being botantical gardens-of-Eden. The family mausoleums, the raised crypts, and the religious statuary surrounded by ancient iron fences covered with ivy attracts me like a moth to the proverbial flame. Throw in craggy live oaks dripping with Spanish moss and you have a writer’s atmospheric dream. Okay, I happen to write to Amish inspirational romances….but I can still appreciate the past can’t I? Savannah also has gorgeous Squares, each a unique park with fountains and plenty of benches for thinking about the past…or that meal you ate yesterday. Of course, I’ll buy something. I intend to buy lunch! And maybe a souvenir or two…maybe a Christmas present for a loved one far away. But that’s it! I plan to make Black Friday about the past…not the present commercial world we live it. They’ll be time enough for that when I get back to Ohio. Be safe out there.